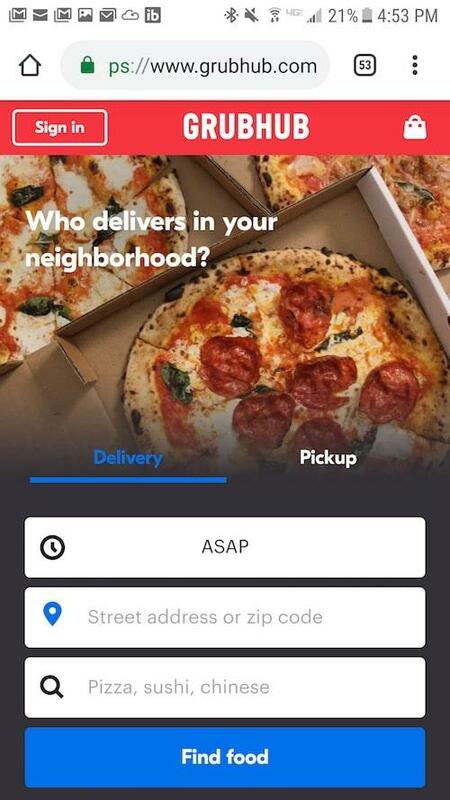 Home » Food Delivery Near Me: 10 Best Food Delivery Apps To Use Now! Getting food delivery near me (or just wherever I am or my family is at) is so easy now. Actually, it's never been this easy before. While going traditional is something I like to do, food delivery right in front of my door is convenient and, sometimes, very inexpensive. More and more millennials are using food delivery options more than ever before. Now, there are a lot of best food delivery apps that you can use to order food in seconds. In this post, I will detail the top food delivery apps that deliver food from just about any store. Best of all, you don't ever need to do a search for “food delivery near me”…. ever. Want to go to a great restaurant but don't like to get out? How about getting breakfast, lunch, dinner, or a snack from that popular restaurant near you? Now, you can do that with Door Dash. 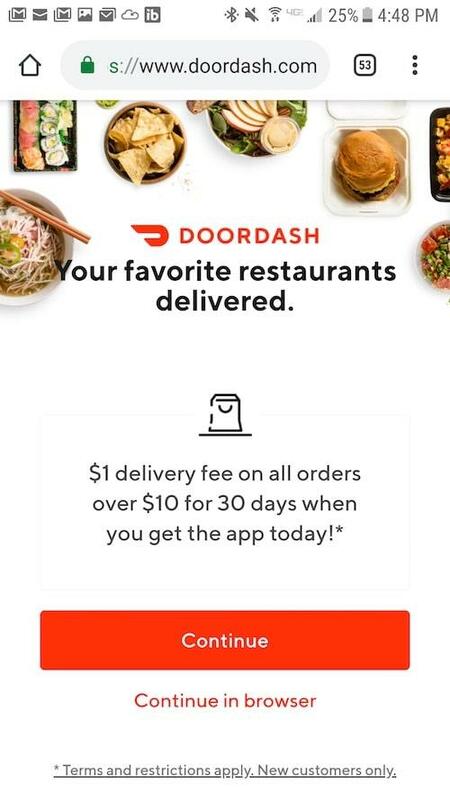 Launched in San Francisco, Door Dash has expanded into 56 markets and over 350 cities in the US. Now you can easily order food from 1000s of restaurants in your area within minutes. How that's for complete convenience? Remember ordering pizza online or over the phone? That's basically how Door Dash works, but in this case, it's all about great restaurants and not so much about fast, junk foods. Availability: This food delivery app is available in major cities like Boston, New York, Washington D.C, and Atlanta. Fee: The fee varies by restaurant. The cost normally includes the cost of the meal, tax, delivery fee, and tip. Click here to use Door Dash and save time and money. While the majority of the food delivery apps in this post is about cooked, prepared meals, this one is different. 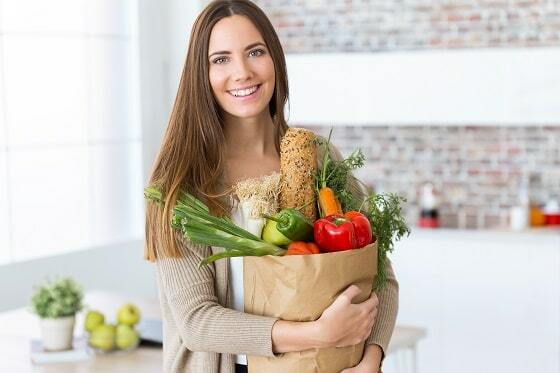 With Instacart, you get thousands of groceries and other necessary products you need from the stores you already shop. Those groceries are delivered straight to your door via same-day delivery. How’s that for convenience, right? 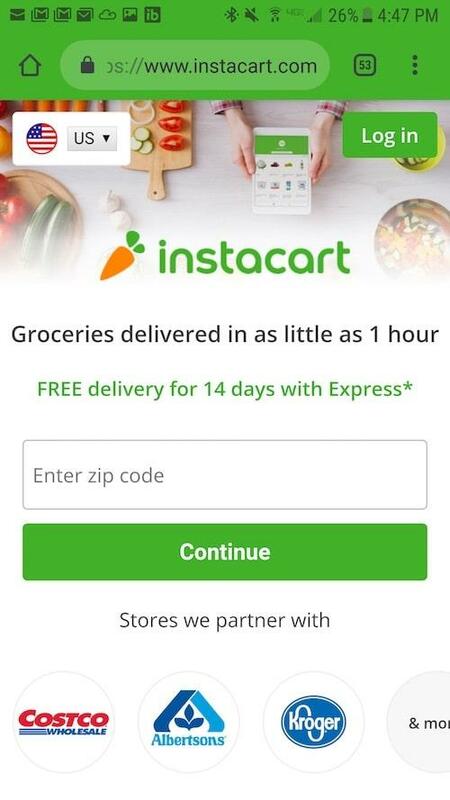 You not only save time but also save money with Instacart. With so many companies that want to do business with Instacart, a lot of them offer exclusive deals on popular products we use. You can easily find exclusive coupons on hundreds of items. Some of the famous companies you’ll see in Instacart are DiGiorno, Ben & Jerry’s, and Pepsi. Availability: Instacart is available in major cities like Los Angeles, Washington D.C, New York City, and many more. Click here to use Instacart. Postmates is something different than many other food delivery services in this list. It's because it offers food, alcohol, and grocery deliveries. The great feature of Postmates is that it is not affiliated with any restaurants, which means that if you’re looking for a restaurant, you’ll likely see it on the app. Availability: Postmates is available in over 80 cities in the US. Fee: Postmates charges a fee for every order. On peak delivery times, there’s an additional Blitz Pricing fee as well, which basically means extra charge. 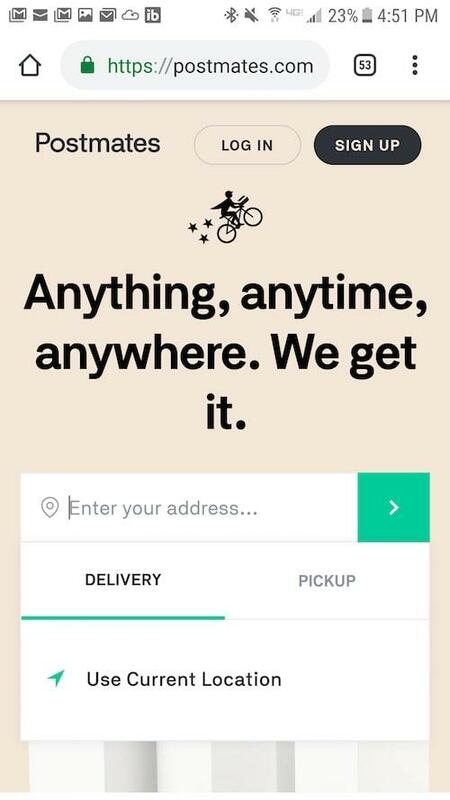 Postmates offers a “Plus Unlimited” service. This service costs $10/mo but gets you free delivery from select stores and restaurants on orders of at least $25. Delivery.com partners with restaurants, resulting in no price surge even during busy times and in lower delivery prices. Just like its competitor (i.e. Postmates), Delivery.com offers more than just meal delivery service. It also delivers produce and groceries, which can rival with Instacart and other grocery-delivery services. It is so simple to use. Just enter your address, and use the sorting feature to see delivery time, reviews, and even food choices. Delivery.com is not as big as the other delivery service companies around, but it is growing at a rapid pace. Availability: Delivery.com is available in over 100 cities in the US. Fee: This food delivery app doesn’t charge a fee. That said, some restaurants have a minimum order and may charge a delivery fee. Best for: People who are loyal to Uber or want a company backed by a great reputation. You guessed it right even without guessing or getting asked a question. It’s a company owned by none other than Uber. If you are looking to streamline the brands you use, and you are using Uber, then, Uber Eats is a good way to go. 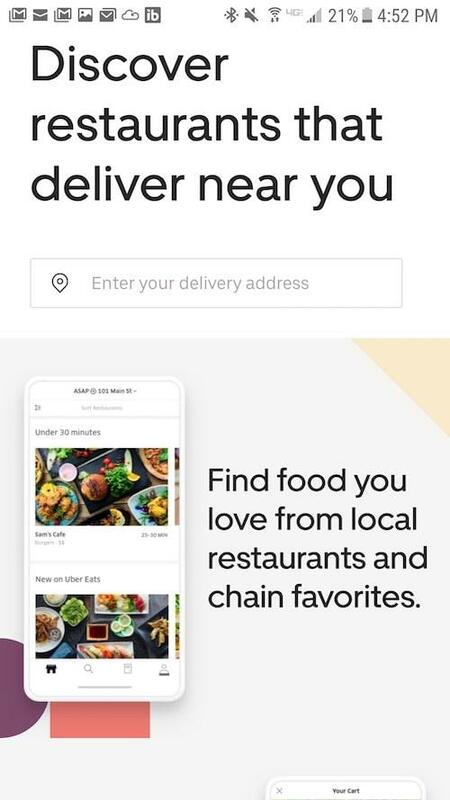 You’ll find that the interface for Uber Eats app looks similar to Uber's because it’s almost the same. You can either order online or use your smartphone. On average, the delivery time is 30 minutes, which is quite fast. If you ever have to buy food outside, you’d probably be spending the same amount of time when you factor in the time for dressing up, driving, ordering, getting your food, and coming back to your place. In short, using Uber Eats is convenient and time-saving. Currently, Uber Eats partners with great restaurants all over the world and cities near you. Availability: Like Uber, Uber Eats is found all throughout the world. Some of the countries where Uber Eats operates include Singapore, Japan, U.S., and Dubai. Fee: Uber Eats charges a delivery fee of $5. Click here to use Uber Eats. If you live in a major city like Chicago and New York City, chances are Seamless does business in your area. Seamless is one of those food delivery apps that consistently updates restaurants and menus to make sure you see what those people see in the restaurants. It even updates the photos, pricing, and the time it takes for your food to get delivered. The best thing about this food delivery app? You can pre-order meals up to four days in advance and discounts/coupons are also available. Currently, Seamless is available in cities such as Boston, New York, Philadelphia, Washington D.C, Chicago, Miami, San Francisco, Los Angeles, and Houston. Availability: Seamless is available in over 600 cities in the U.S.
Fee: No fee to use this food delivery app; however, there are order minimums. Our “food delivery near me” list won’t be complete without Grubhub. Grubhub is the Google of food delivery service. Its extensive list of at least 300,000 restaurants in over 800 U.S. cities is something to note of. This food delivery app is very user-friendly. Just browse by city, addresses, menu item, cuisine type, or even a specific restaurant, and you’ll easily find the restaurants that are right for you. You can even filter by coupon deals or hours open, and Grubhub will give you the results in seconds. Availability: Available at over 300,000 restaurants in over 800 cities in the U.S. Here are some of the other food delivery apps that you might want to check out. People have great reviews about these apps that I had to include them in this post. If you are into high-end, fancy restaurants, you’ll find the above-mentioned food delivery apps may not always work for you. Caviar touts itself as a food delivery service for the almost undeliverable. With Caviar, you can customize your meal and complete the transaction right in its app. If you’re looking for a way to save money even when you’re getting these high-end meals, look out for promo codes that Caviar issues periodically. Currently, Caviar is available in major cities like Chicago, Seattle, and Washington D.C. This list won’t be complete without the original of all the originals…. Yelp. Built on years of restaurant review, Yelp Eat 24 beats the competition. I bet you’ve relied on Yelp to pick the next restaurant you want to go to or the best place to buy what you want. On Yelp Eat 24 app, you’ll find over 20,000 restaurants in over 1,800 cities. You can browse the best local restaurants, ratings and reviews, coupons, delivery menus, among others right in the app. There are so many options you can choose from Beyond Menu. That’s why it is one of those best “food delivery near me” options you can use. With Beyond Menu, you can search restaurants, order pickup and delivery, and even make reservations at your favorite restaurants. This app saves you time by helping you reserve a spot so you have one when you get to the restaurant. Isn’t that awesome, right? When you use this food delivery app, you’ll see thousands of restaurants from over 30 cuisine types, which are organized by time of day, food items, ethnicity, and dietary restrictions. You can either pay cash, credit card, or Apple Pay when you place your order. Oh, did I say that you only need to scan your credit card to pay, and that’s it? Here are some of the commonly asked questions on food delivery apps. 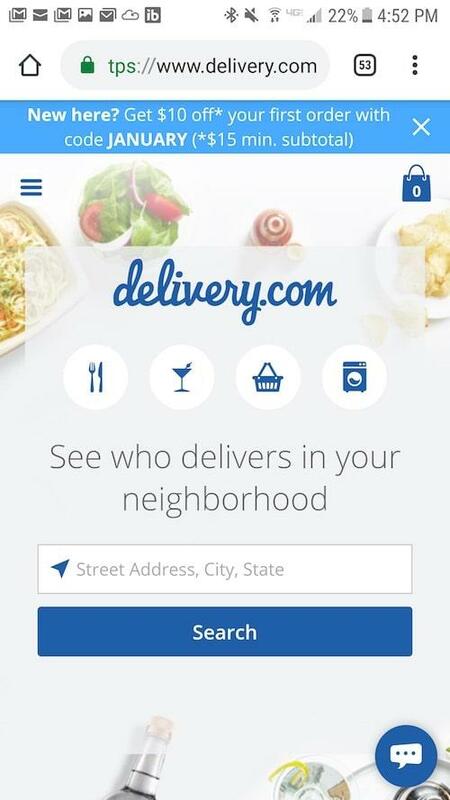 Which of these food delivery apps is the best? It’s difficult to answer which one is the best. Some have strengths and some fall short on some services. But some of the most popular ones that people like to use are Door Dash and Instacart. They offer the most extensive list of restaurants. Whether you like sushi, pizza, or something very specific, chances are what you are craving for is found in either or both of these food delivery apps. What are the benefits of using these apps than me picking up my own food outside? There are a couple of reasons that ordering online or via these food delivery apps is better. First, you don’t have to dress up, run outside, drive, pick up the food you need, drive back, etc. By using these apps, you literally just need to move your fingers for a little bit to order and the food will be delivered in front of your door. Second, a lot of these apps offer coupons and exclusive deals. Those will save you money not to mention the savings you’d get for not driving and burning gas. Is there a cost to use any of these best food delivery apps? The apps themselves are free to use. For most of the apps found here, the only time you need to pay is when you pay for your food, the delivery charge, and give out a tip to the driver. I have specific dietary requirements. Do these apps offer services to people with specific needs? You’ll find that most of the best food delivery apps mentioned above cater to many people who have different preferences. Whether you are looking for a keto-type meal or something very specific, these apps can help you find the right restaurants for you. Can I cancel my order after I’ve made the payment? The best answer is to look at the policies of the restaurant and the app that you are using. Some may allow you to cancel as long as the food has not been prepared yet. Some will allow you to cancel if you made a wrong order. As always, it’s best to read the fine print, which all of the “food delivery near me” companies offer. Now, you don’t need to fall in line to order, wait for an hour less for your food, drive back home, etc. to find out that your food is cold, saggy, or something else. Now, you can easily order your food with just the touch of a button via these food delivery apps. Food delivery apps are so easy to use and can even help you save money and time. Try any of them now. 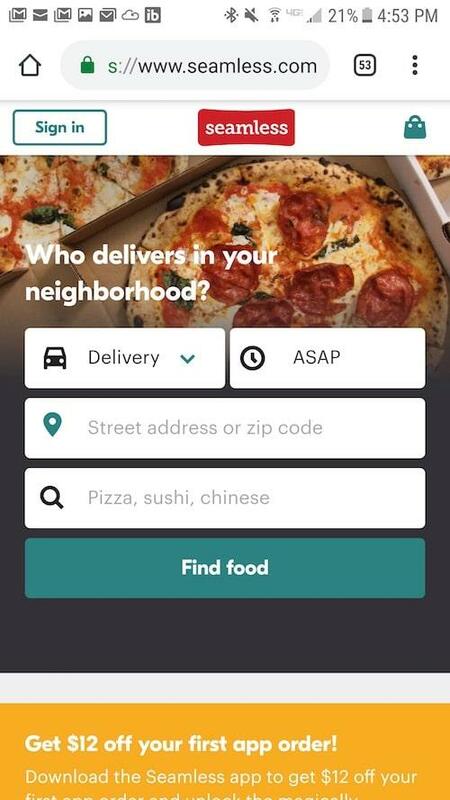 Which of these “food delivery near me” apps do you think will be best for you? Please let me know your thoughts.